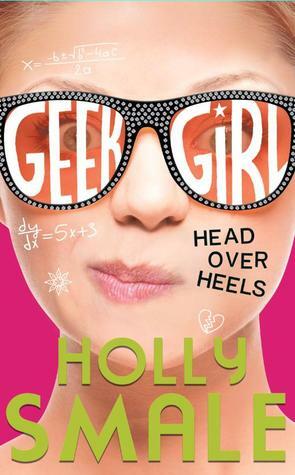 The Review: I’ve been trying to write this review on Head Over Heels since I first read it in April but for some reason I’ve really struggled to find the words. I’ve sat down a few times and I’m still mixed with different feelings. Even now as I write this review I’m still not 100% sure on how I feel so bear with me. I adore Harriet. I adore the series and I’m always so eager to get the next book and start it straight away and Head Over Heels was no different. However, I couldn’t help but feel a little disappointed when I finished it because this really did feel like a filler book. I honestly thought after so many disastrous mistakes on Harriet’s part that she would have learnt her lesson by now and yes, in some ways she does but she still goes about things the wrong way and ends up in a mess all over again – even if her intentions were for the right reasons. Despite that though I do believe by the end of this story Harriet has grown up a little. She’s now embracing her modelling career instead of trying to hide away from it and I did like that she was trying to help a very close friend. Now, you all know how much of a sucker I am for romance. It’s the main reason I read books. I can’t live without it and as much as this book had romance in it, I didn’t enjoy it one bit! And I’m totally blaming Holly Smale for this one. I just knew when I read All that Glitters that Jasper was going to become a future love interest for Harriet and as much as Jasper is a really nice character I simply didn’t want their romance to happen. And yes that is because of Nick. I know many of you guys are Team Nick so I’m hoping we can all agree that this presence was completely and utterly missed him throughout this book and it just wasn’t the same without him. Am I right? I think so. I understand that sometimes a character has to take certain steps in a story and Harriet’s life is full of drama so why not add more of it into the mix with her love life but Holly Smale made Nick such a huge part of her life and made him so lovable that for me it was hard to move on and enjoy Harriet’s story especially when you know deep down that she is still struggling with their break up. And then, THAT ENDING! I was lost for words when I read that last line. Maybe all hope isn’t lost just yet but I hope Holly doesn’t intend to torment us and give us hope and take it all away again. I guess time will tell when the release of book 6 comes around. In all, as you can see I had very mixed feelings about Head Over Heels but for me it felt like a filler book and it was definitely my least favourite so hence my three star rating, but I’m hoping book 6 will make up for it as long as Harriet makes the right choices! The Review: Savage Urges is fifth book in Suzanne Wright's The Phoenix Pack series and I'm so pleased that this series is still going strong! In Savage Urges we see enforcer Ryan finally get his own story and we have Makenna who is a new female to the whole series. Makenna is a lone shifter works at a shelter and helps other lone shifters find their long lost relatives. When a teenage shifter turns up on her door step Makenna knows she will do everything in her power to reunite him with his family. This is where Ryan comes into the picture. The teen is Ryan's cousin whom he no longer has contact with but when Ryan discovers he has family that needs his help, he's more than willing do so even if that means spending time around Makenna - even though he can't trust her because of the life style she has chosen. The problem is, the instant he meets Makenna he knows there is something different about her - something feels different to how he normally feels around women and even though there is that trust issue, Ryan is determined to get to the bottom of it even though Makenna is reluctant. But Makenna needs someone to lean on now more than ever when her life is suddenly endangered for trying to help the lone shifters. I just adore Suzanne Wright's work! This series for me is definitely my favourite shifter series. Admittedly I haven't found many that compares so this is why this makes this series even more special and why they're my favourites. I really enjoyed Makenna and Ryan's story. I've been struggling to find time to read a lot lately and visiting a world that I'm already familiar with - and love - definitely helps me because I just know I'm going to enjoy it. And I did. Ryan's always been an interesting character for me so it was great to get to know him more and discover more to his story. Ryan's always been a very quiet character in the previous books, he grunts more than talks so like I said getting to know him properly was good because now I feel like I really know him. He does struggle socially throughout the story, the more he opens up to Makenna and comes to understand their bond, it does make him more of an open character. Maybe not as open as some of the characters but still I can understand more now why he's so dedicated to the Phoenix pack and his Alpha. Makenna really was a wild card in the story. Sometimes I find it difficult when new characters are added into a series but her story was an interesting one along with her being an interesting character. She did lack the 'pack vibe' and what I mean by that is because she's a lone wolf, she never feels connected to anything or anyone. She doesn't quiet understand the pack safety or safety net. So she does go on quite a bit of a self-discovery journey though-out the story. But overall, I felt she fit nicely into the Phoenix world and her story definitely added to the drama/danger that the Phoenix wolves always seem to be in. I have to say though as much as I LOVE this series I really am looking for something different for the next book. I've adored all the previous stories but I'm a little over the 'we feel a connection but don't know where mates thing'. I'd really like for a couple to know instantly they're mates - kind of like Nick & Shaya. I want a different journey for which ever couple is next. Something different from what we've been given. Even if I don't get this wish I still think I'd enjoy it but it's time for something different I think. Overall, Savage Urges was a good read and one I'll look forward to re-reading in the future. Thank you to Montlake Publishing for giving me the opportunity to review this book in exchange for an honest review.